Written By TCR Volunteer: Alex D.
Oftentimes I am asked to help people locate an exotic cat or kitten for them. They see a show or documentary, then automatically assume they are ready to be the owners of an exotic cat. First of all, exotic or not, you need to make sure you are ready to be a cat/pet owner. This is a long-term responsibility that involves time and financial commitment. So here is my advice to Little Johnny who is keen on getting a wild cat for his birthday. Little Johnny: I want a tiger/lion! Not a good idea because: You’ve been following too many Dictators/Warlords. Not gonna happen, sorry. Little Johnny: I want a leopard/panther/cheetah or some other big African cat! Adopting exotic looking Eugene is better than a panther! Not a good idea because: Pure wild cats are a pain. They may be cute on TV, but owning one is far from easy. In fact it’s easier to shave with a butter knife… in the dark… cross-eyed… while wasted, than it is owning a wild African cat. First of all it’s expensive. If you have the money to get your hands on an endangered or threatened species, then you are obviously wasting your time on this blog. We’re talking 6-7 figures easily. Then there’s the enclosure you will need for one. No, your old bedroom will not suffice. It was okay for your ‘wild’ girlfriend/boyfriend, but wild cats are on a whole another level. Anything short of a cage will not suffice… a big cage. Cheetahs do not lazy it up on your lap… if they did they would’ve been extinct by now from pure laziness. Licensing is also a touchy issue. I have no clue if Ontario ever came across the need to assess the need for proper licenses for African cats, but you will need to find that out. And last but not least the commitment. We’re talking 20+ years of hard time…. JAIL time. The cat will own you. You need to feed it raw food, you try and hand out one of the Purina Chows your regular domestic kitty eats, and it will grab your hand and turn it to mulch, right after flipping you off with your own hand, you know, to humiliate you as much as possible. You need to be with the cat 24 hours a day, you cannot let it out of your sight, let alone go away for overnight trip, for the entire 20+ years. They will only bond with you… your friends will never be your friends anymore, other pets will become pillow mints for the cat and the whole training of the cat can really be a hit and miss. A hit means you survived and you know – did not die, miss and you will be the Soylent Green flavor for Mr Whiskers. Yes, they are wild and it’s only their natural instinct to think like a wild animal. Their instinct is “tick me off and you will pay”. Little Johnny: I want a Bobcat/Lynx/Cougar/Puma! Not a good idea because: That commitment blurb mentioned above… yes, that still applies with bobcats and the rest. Take a read from a professional who owned a bobcat and check out her story. If this is not a wakeup call Johnny, then better save up. They too are not cheap, nor easy to find thanks to their diminishing numbers in the wild. Little Johnny: Oh, I heard Servals are popular pets. Oh, they are still cool! Adopt a strikingly patterned tabby like Hannah, vs. a serval! Not a good idea because: Servals are mankind’s attempt at domesticating a wild cat. They’ve been trying with this one forever and they’ve been successful in some cases. Servals were good choices as they are very loyal and form a strong bond with their owner (unlike Simba the now fully-adult lion who will take your head off should you tick him off). The drawback… again that pesky commitment. You will be its owner for its entire life. You cannot abandon it at a shelter or a zoo, you cannot pass it onto your family, neighbors. It’s yours for its entire life, otherwise the chances for its survival are very slim. Oh, and the thousands of dollars for its initial price tag makes this cat a little out of your reach. Should you save up for it, keep in mind there’s few of them available on the market and the waiting time can be several years. Little Johnny: Ayee, so how about a mix of wild and domestic, that’s gotta be within my reach! Not a good idea because: It’s still not that easy. True, Servals in particular, due to their tremendous demand, have been continuously bred with domestic kitties, resulting in a half (F1), or quarter (F2), and so on, mixes of Serval (wild African cat) and your everyday domesticated kitty. Savannah is such an example of an F1 hybrid. If you do come across an opportunity to own a Savannah or its sisters do remember that, like any of the cats on this list, they require a lot more attention and commitment than a regular lazy house cat. And, this goes for all the wild cats on this list, if your relationship goes sour, do NOT expect the local shelter or zoo to take them off your hands. Fact is they often won’t – zoos have strict requirements and are not a dumping zone for animals. Local shelters will not have the needed financial resources, nor knowledge to keep such pets alive and well. Celeste was saved from a primitive high-kill shelter. In the end, Johny, it really doesn’t matter what kitty you adopt. From tigers to the stray kitty in the park, they all have their own personalities. You can have a close and tight relationship with a regular domesticated kitty, and nightmare of a relationship with a wild African cat, and vice versa. There’s no one surefire breed of cat that’s right for everyone. So, going to your local shelter and giving a home to a poor kitty down on its luck may not be subject to the same bragging rights as a leopard, but chances are both you and the animal’s life will be much easier and you can get the same closeness you would get with an African cat. And oftentimes, it’s the one stuck in a cage at your local shelter who needs you the most. Happy Mother’s Day to all the mom’s out there – human, feline or other! We would like to share with you three lovely mama kitties that are still awaiting adoption. These gals have done an excellent job raising their kittens, and now it is their turn to be adopted and showered with love. They are inspiring little ladies, who will make you smile. ADOPT: If you would like to adopt one (or more!) of these little girls, please call 416-538-8592, press #1. 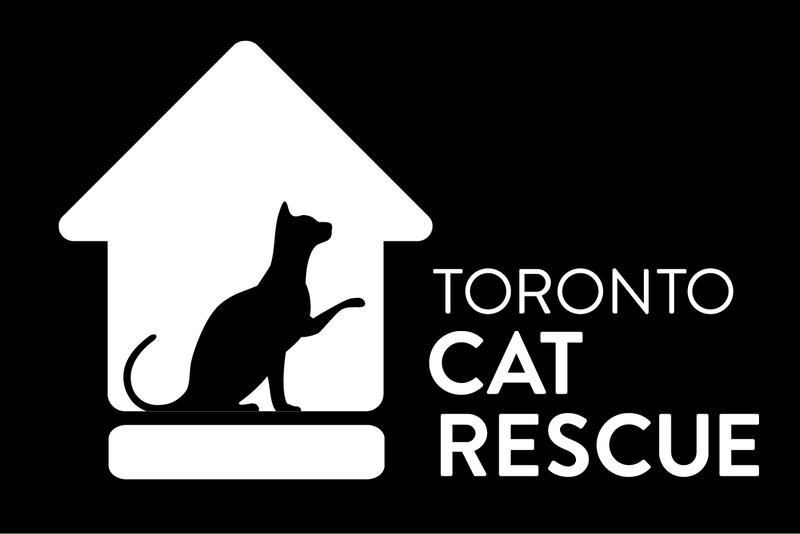 DONATE: If you would like to support the efforts of Toronto Cat Rescue on behalf of your mom please donate! Donations go directly to helping cats in need, and make a very loving, thoughtful gift. We kittens now are all grown up and we have left the nest. Today what we have come to say is mothers are the best! If we were the type to wear clothes, I’m sure they’d do our laundry. And I can’t remember even once, cutting back my nails. But now there’s something so important, that we want you to know. We have all started brand new lives, but for our mothers it isn’t so. Yet thinking back about our moms, brings along a little tear. And on this next point we are not wrong. One thing you won’t feel is any regret. We are all happy, we are all content. Please all we ask is that our moms get a chance. So if you would be so kind, and take one of our mothers home. This is something we felt you really should know. But that new pet of yours has done more than you know. And they tried not to cry, watching their babies go out the door. Calling All Foster or Forever Families! TCR is desperately seeking foster homes or adoptive families for six lovely kitties. These cats are marked as “urgent moves” within our foster system, as our current foster homes are all full and unable to accommodate these darling cats. The below six cats are already part of the TCR program and we are obligated to move them, however no space has become available. Please, we need your help! If you would love to open your door to foster or adopt one or more of these cats, please email Sarah ASAP: sarahmay3@gmail.com. As always, thank-you very much, we truly appreciate all support. One person (or one family) CAN make a difference.